Note: UK and Australia: Jet’s release date has been moved to June 20th. JET. Where do I start with this book? Ahh-ma-zing! Let me start of by saying that Jet will be put into my list of book boyfriends. Now that’s out of the way, I’d like to give you something substantial here. After all, I am writing a review. The cover is not your typical book-rocker cover. And, I think this is one of the best features of the book. It shows you that Jet can connect to you on a realistic level – that rockers are not all hard abs and muscles (though there’s nothing wrong about them). He’s a guy who loves rock and he “rolls” with his band. There are many facets to Jet’s personality and I think Ms. Crownover is adept at making the readers connect to him. He is deep and troubled but he’s also a very nice guy. He’s a bad boy but he has a lot of heart. The juxtaposition of his many sides makes him such a complex character to read about and I had fun discovering what makes him tick. And Ayden, the Southern belle with the mile-long legs, makes Jet tick and twist in all the good and bad places. Ayden’s a very interesting girl. She has a secret that she’s trying to run away from. Her past is something that she’d like to forget. But, in order for her to have any type of future with Jet, she has to face her demons and open up to him about them. She’s a very strong girl and such a great heroine. I loved her character so much! I always like strong and capable women in my books and Ayden is one hell of a girl. She is caught between her feelings for Jet and her indecisiveness to let him know about her past. 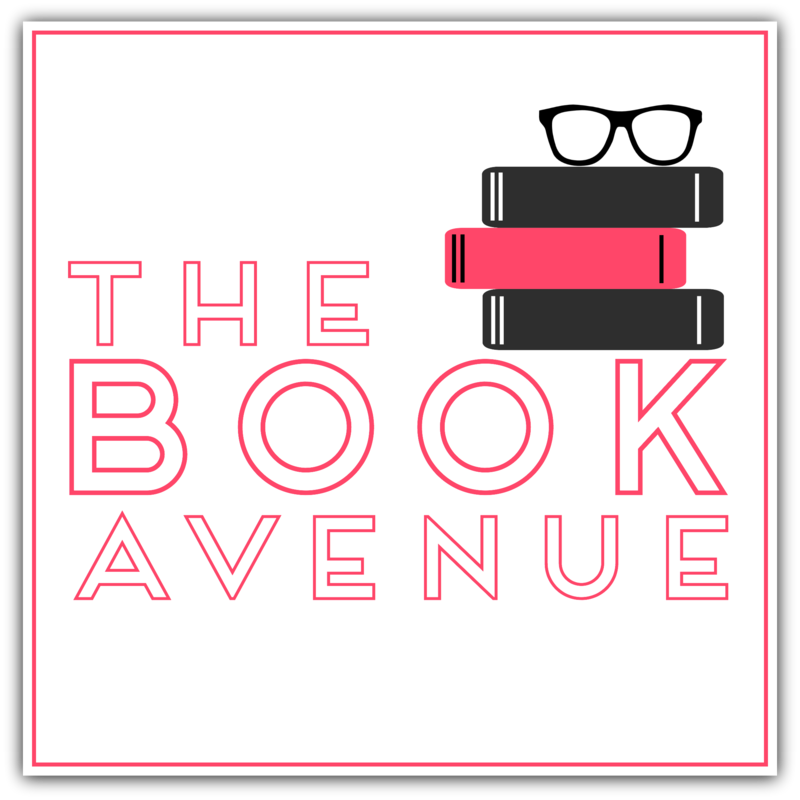 And when she finally does tell him, Jet reacts in a way that the readers would not expect and the story unfolds into another twist and you cannot help but want to read the book in one sitting. I thoroughly enjoyed the plot. The author did such a great job in keeping the readers in suspense. There were steamy scenes and there was a lot of sexual tension in the book. There were lots of funny moments too that made me fall off the chair and cry in tears (of joy). The storyline is distinct, unique, and has the author’s special way of writing stamped all over it. I think the author’s writing is flawless and exceptional. I’ve highlighted a lot of quotes in this book, just like I did in Rule. 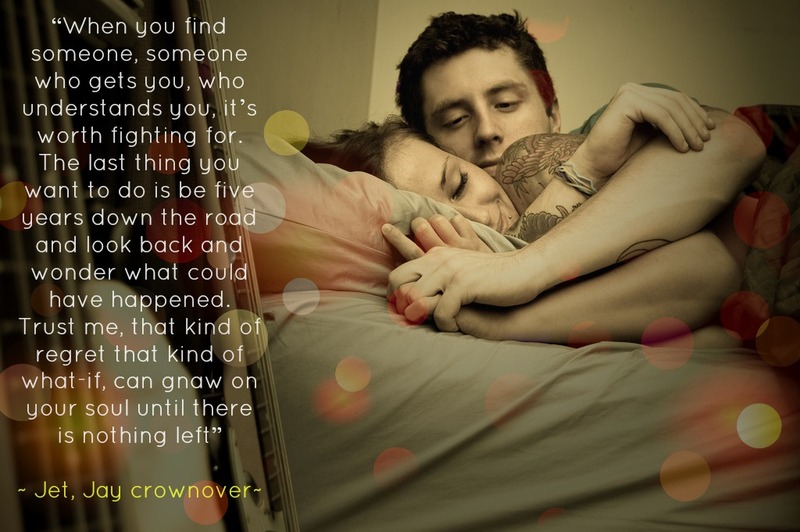 I look forward to reading more and more of Jay Crownover’s books. 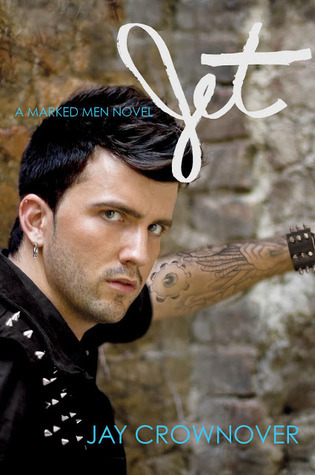 Her Marked Men Series has the makings of a great and unforgettable series and I’m super stoked to learn that she is now writing full-time because honestly, seriously, unequivocally, I cannot wait for Rome’s story next. 5+++++Stars. Not enough stars for this!!! !